It was friday night and I was looking at images of all my friends who are visiting the antique show in Miami. We exhibited for many years and decided a few years ago to stop since the expenses of the show alone would run north of $10,000. While i was scrolling through images of all our dealer friends that exhibiting and a few friends that went to “walk” and hunt at the show, I came across an advertisement for Scotts Antique Market. I decided the next morning I would pay a visit and go on my own local hunt. Headed out to the antique market to wheel and deal and hunt for some goodies, arrived around 1:00 pm with a slight worry that perhaps I may have missed out on a few of the early bird deals. 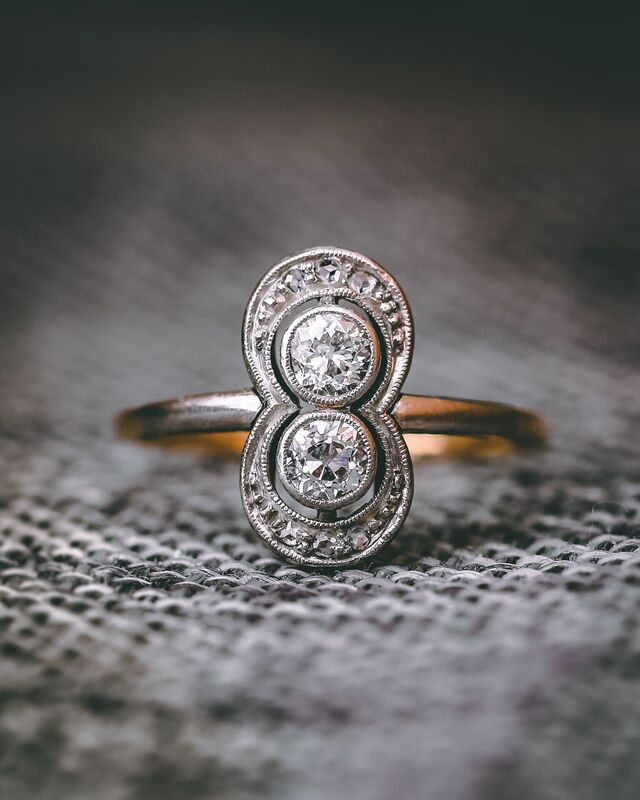 I decided, even if I didn’t get to buy something at least I could get a pulse on the current market and perhaps meet some new jewelers and dealers. After 5 hours of walking both the north and south buildings of the show, I had a nice full pouch full of many goodies. 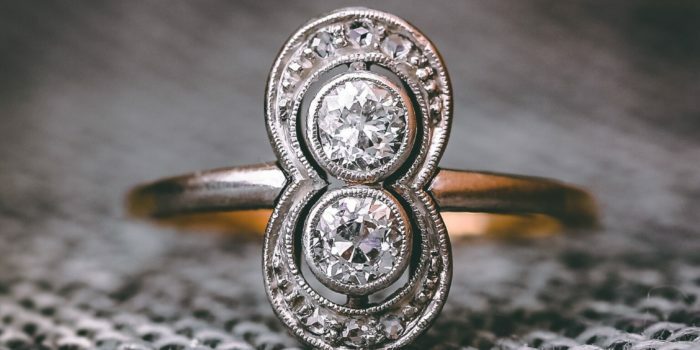 Some cool pins and art deco rings had caught my eye and made their way back to our office and now are on outline shops. Here are a few of the purchases we made and cool items we acquired. 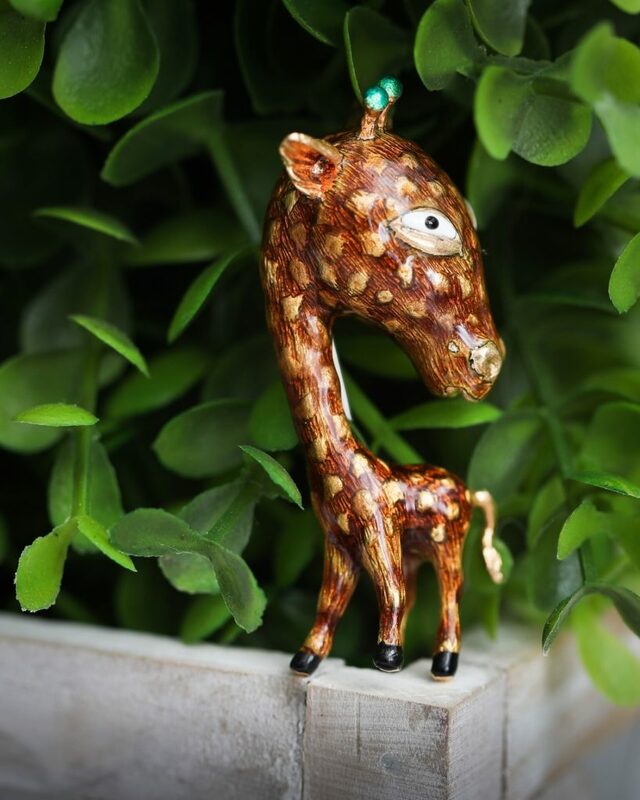 Our favorite starts with this handsome giraffe that has an enormous head and made from 18kt gold and enamel.